J. Emilio Flores for The New York TimesIn my research for the cover story on the West Philly Hybrid X Team, I learned a little bit about the production of hybrid and electric vehicles—it is both simpler and more complicated than I had imagined. One detail that always stuck with me was the fact that the Hybrid X team outlasted both MIT and Tesla in the Progressive Automotive X Prize Competition. 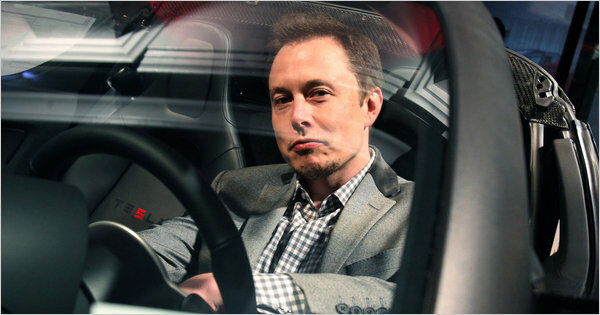 After reading this New York Times story on Tesla CEO Elon Musk, I'm slightly less surprised. The story reads like a juicy Silicon Valley soap opera—it becomes clear that there has been a bunch of drama at Tesla. It is also mind boggling to try to digest the tremendous sums of money investors have thrown at the project, with as-of-now limited returns. Maybe they'd be better off sending that money to West Philly.